Yesterday was the day!!! It was the end of our 28 Days/10 Minutes a Day Fitness Challenge!! So, how did you guys do? Was it harder or easier than you thought? If you missed a day, did you get back to it the next? Do you want to do it again? Are you going to set a longer goal? Time to update us with your Week 4: Days 22-28!! I’m still not going as hard as I have in the past, but I was mostly back to morning workouts this week, if I remember correctly. They were just short ones though … but hey, that’s the point right? Even 10 minutes a day is worth it!! So, this week, I decided I really want to work on improving my hip flexibility for yoga as I felt like I had kind of plateaued in my practice lately. I really want to be able to do the cross-legged full lotus pose. So, that was somewhat my focus this last week. 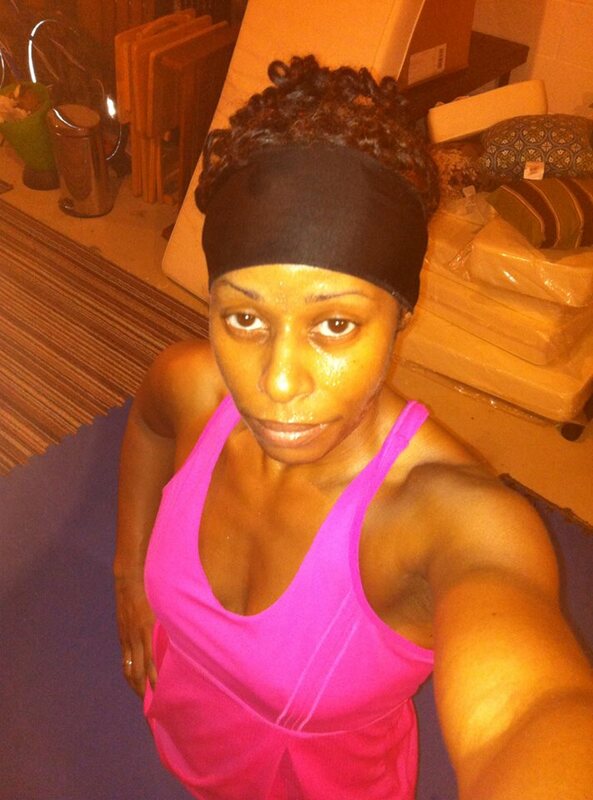 Day 22 / 342: Hot Yoga / Vinyasa Flow at Younique Yoga studio in Sparta, NJ (75 min). Day 23 / 343: Lauren Brooks Kettlebell Joint Mobility Warm-up and 12 Minute Full Body Blast. But, I switched it up. Since I didn’t have time to do 2 rounds of the short routine, instead of taking the 30 second rest between each 1 minute set, I jumped rope during that “breaks” instead. This kept my heart rate up through the entire 12 minutes. 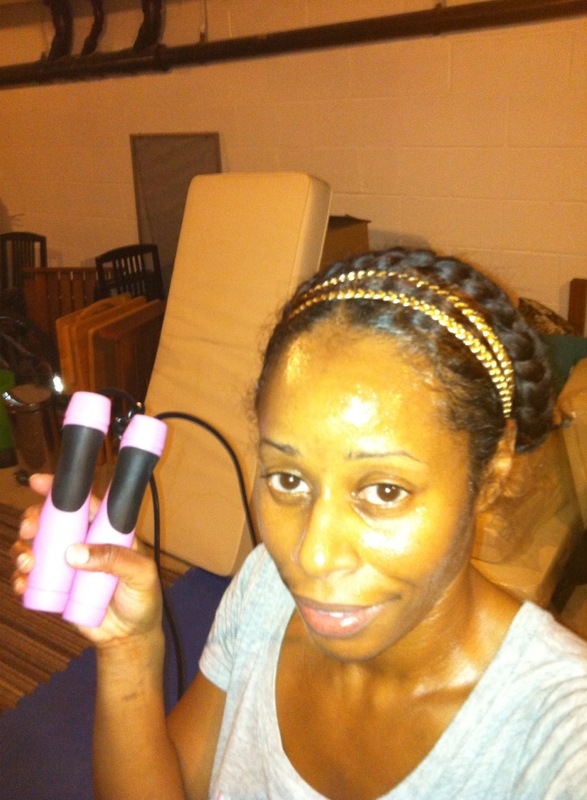 Day 24 / 344: Jump rope (5 min – whew! ), 12 reps x 3 sets of rows with door jam “suspension trainer,” 12 reps x 3 sets of “superman” back extensions, Developing Lotus Flexibility video (10 min), forearm tripod inversion for 30 breaths (total: approx. 20-25 minutes). Day 25 / 345: Developing Lotus Flexibility video (10 min). 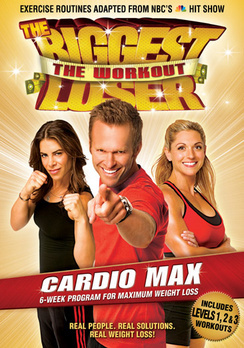 I did the video in the morning with plans to get some cardio in the evening. Well, I’m sure glad I did that in the a.m., because I was on the road for 4 hours for work and when I got home, passed out on the couch at 8:30 p.m. I woke up, thinking it was 10 or 11 … it was almost 2 a.m.! Needless to say, I hit the sack, counting myself lucky that I had done the video in the morning!! Day 26 / 346: Developing Lotus Flexibility video (10 min) and Lotus Hips video (20 min). 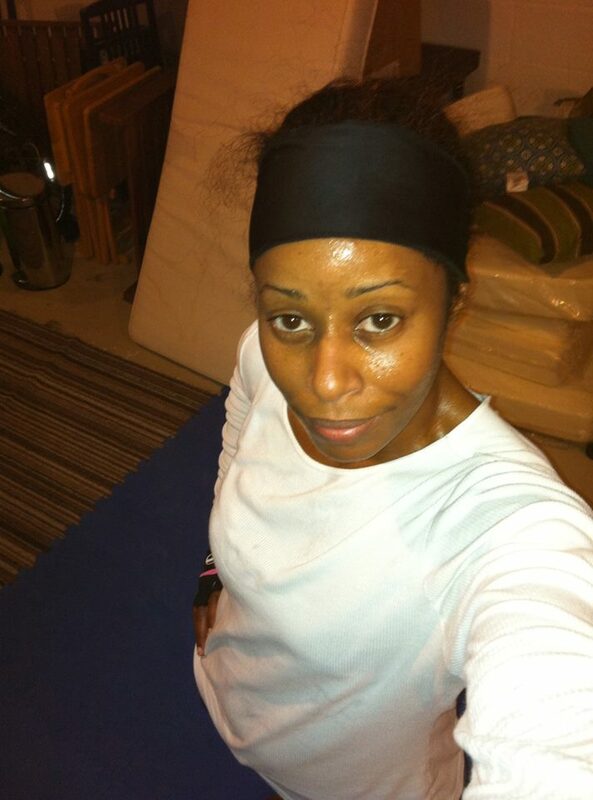 Day 27 / 347: KeiraLashae Kickboxing video (10 min), jump rope (5 min), and Developing Lotus Flexibility video (10 min). Day 28 / 348: Angie Miller Kettlebell Bootcamp sets 1-3 plus 32 alternating hand swings and 16 two-hand swings (22 min). Yeah, I know the video is kind of crappy, but I didn’t have any help today!! LOL! But, the point is, those hip opening stretches are already paying dividends!! Today was the first time that I’ve even come close to this one leg arm balance (Koundiyanasana)! Usually, I can’t even get that front foot off of the ground!! So, I’m kind of excited and, after I finish this post, think I’ll be doing some more hip opening stretches. Hey, I’m home alone while many are starting to enjoy Superbowl parties, small and large. So, why not? Think I’ll catch up on last week’s Justified and Community too ;). How did you do the last 7 days of the challenge? Who is still going to continue and for how long are you planning? 30 days? 100? 365? Who wants to try again, because they didn’t make it all the way through? Who wants to do it for the first time? If there is enough interest, I’ll keep this going for another 28 days with weekly update posts for accountability and inspiration!! Sookie Sookie Now!!! Only one week to go chicas and chicos!!! Time to update us with your 28 Days/10 Minutes a Day Fitness Challenge progress for Week 3: Days 15-21!! And don’t forget to check out our FB Events page where many folks are updating daily! In a work-out rut? You’ll can find tons of ideas for home, outdoors, YouTube, DVD, app, and gym workouts to mix it up and beat boredom!! If you aren’t on Facebook and/or want more ideas, check out the Fitness Playlist I created on my YouTube channel to share fitness videos that I like! As for my week, the struggle continues. I’m still not getting up as early as I’d like. A 5:30 am wake-up can be beastly in the winter when it’s still very dark and cold and especially when it seems to be snowing EVERY OTHER day in NJ! Ughhh!! So, I was still fighting the time crunch most of the week and ended up doing late night workouts on Friday and Saturday. Day 15/335: Hot Yoga / Vinyasa Flow at Younique Yoga studio in Sparta, NJ (75 min). Day 16/336: Tamilee Webb’s Abs of Steel (10 min). In my defense, I cleaned house ALL day … well, I mostly dealt unpacking (ummm … see, what had happened was … Okay. I have no excuse. I just fully unpacked from the honeymoon on MLK Day. I know. Sad. But, whatcha gonna do?). 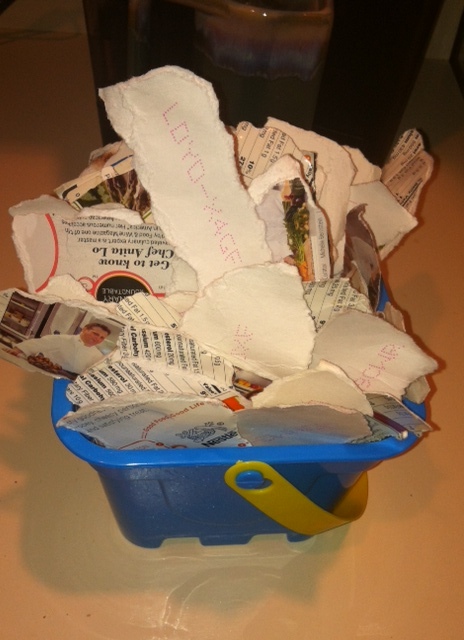 So, I sorted, organized, and shred a lot of mail/paperwork and washed, folded, and put away a crap-load of clothes. Day 17/337: 10 Minute Kickboxing with KieraLashae (don’t get it twisted, you will get your sweat on with these 10 minutes, IF you give it your all). Day 18/338: Lauren Brooks Joint Mobility Warm-up and 12 Minute Full Body Blast x2 (29 min). 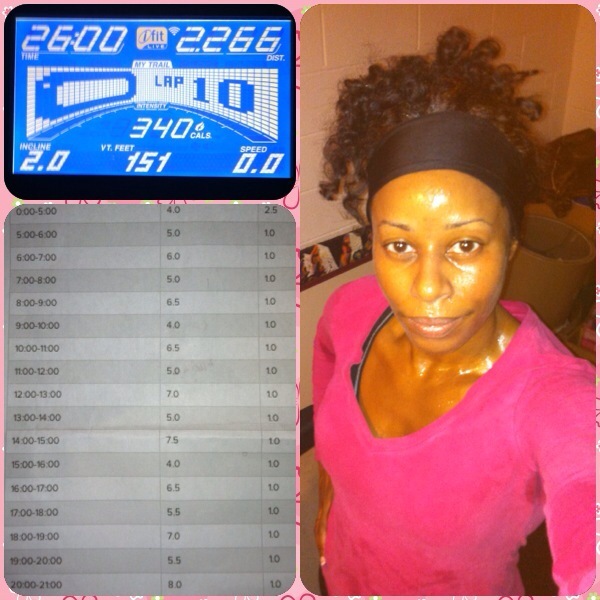 Day 19/339: FitSugar’s Treadmill Pyramid Intervals to the 22 minute mark, then 6 minutes to cool down (28 min). We’re in the home stretch now!! How did you do Week 3, days 15-21? What are your plans for your final week? Woot!! Woot!! We’re at the halfway point folks!!! 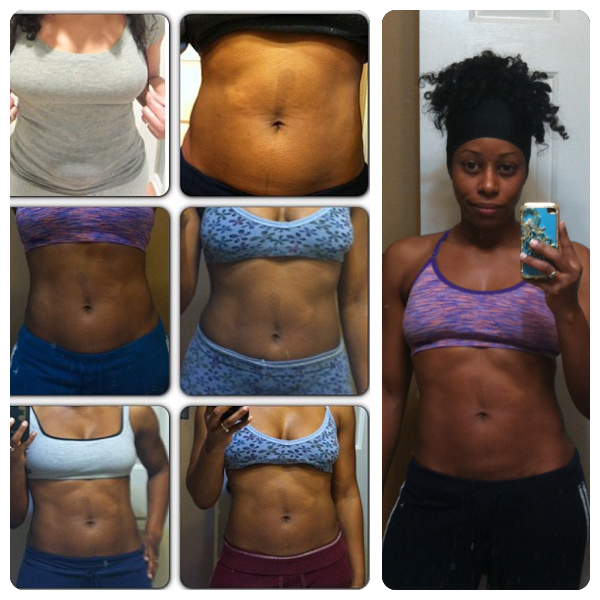 Time to update us with your 28 Days/10 Minutes a Day Fitness Challenge progress for Week 2: Days 8-14!! And don’t forget to check out our FB Events page!! The home, outdoors, YouTube, DVD, app, and gym workouts continue to roll in!! I tried a new 10 workout myself last night!! And, if you aren’t on Facebook and/or want more ideas, check out the Fitness Playlist I created on my YouTube channel to share fitness videos that I like! As for my week, I’m getting back into the groove of morning workouts … but still not getting up as early as I’d like. I went from a 6:30 am rise time to 6 am. So, that was good. But, my goal this week is to get back to 5:30 am. If you remember, I’m also doing a personal 365 Days of the Word challenge with YouVersion’s One Year Bible. So, I do my reading and prayer first (along with my cup of coffee ;)), then workout. Day 8/328: Hot Yoga / Vinyasa Flow at Younique Yoga studio in Sparta, NJ (75 min). I hadn’t been to hot yoga in 2 months, so I was bit nervous. But, I didn’t do too badly! I definitely was tighter than I had been, but I’ll work out the kinks soon (I hope ;))! Day 9/329: Lauren Brooks Joint Mobility Warm-up and 12 Minute Full Body Blast x2 (29 min). Day 10/330: Run on treadmill – 5 min warm-up; then 5 min at 5 mph and 10 min at 5.5 mph at 1.5% incline; 5 min cool down (25 min total). I would have liked to run longer, but I was short on time. I know it’s better for me to get a shorter workout in the morning than try to wait until after work for a longer one and end up doing NOTHING! Day 11/331: Angie Miller Kettlebell Bootcamp with 15 and 20 pound bells (45 min). I was using the 15 lb bell for the entire workout, but am progressing and working towards using the 20 lb bell for the whole routine. Day 12/332: FitSugar’s Treadmill Pyramid Intervals to the 22 minute mark, then 5 minutes to cool down. I was short on time again!! Okay my peeps!! How did you do Week 2? Give us the rundown of days 8-14!! What victories did you achieve this week? It’s that time!!! Time to update us with your 28 Days/10 Minutes a Day Fitness Challenge progress for Week 1: Days 1 -7!! Now, a lot of you have been updating our FB Events page and that has been absolutely awesome to see the variety of things everyone is doing to get in their 10 minutes!! If you haven’t checked it out, please do!! The variety of home, outdoors, YouTube, DVD, app, and gym workouts is great!! And, if you aren’t on Facebook and/or want more ideas, check out the new Fitness Playlist I created on my YouTube channel to share fitness videos that I like! Okay, now let’s get to my update! But, before I do, let me preface this by saying that I was oversleeping this week, because what I thought was my 5:30 alarm was my 6 o’ clock alarm!! And then, when I figured it out … I still slept in a couple days. Ummm … yeah, so, I ended up just barely getting in my 10 minutes several days this week. And, when I got them in, I didn’t want to do anything that made me sweat because I didn’t want to have to take a shower late at night and have to take another one the next morning. Because, the plan was always to workout in the morning … ended up being the failed plan most days last week. Anywho … here’s my quick run down … remember, I’m doing this concurrently with my 365 Days of Fitness, which I haven’t yet completed. Day 1/321: 10 Min. 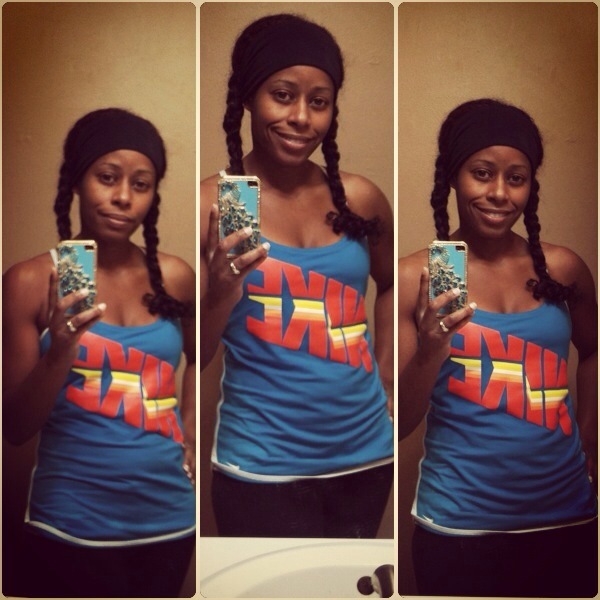 Fat Burning Kickboxing with KeairaLaShae – I got this one from one of our challenge ladies who posted it on my FB page on Day 1!! It’s not the most polished of videos, but it got the job done! I broke a NICE sweat!! Day 2/322: 60 secs x 2 sets of bicycle for abs in the morning; 20 min walk on treadmill (5 min warm-up; 5 min @ 3.8 mph w/4% incline; 5 min @ 3.8 mph w/8% incline; 5 min cool down). 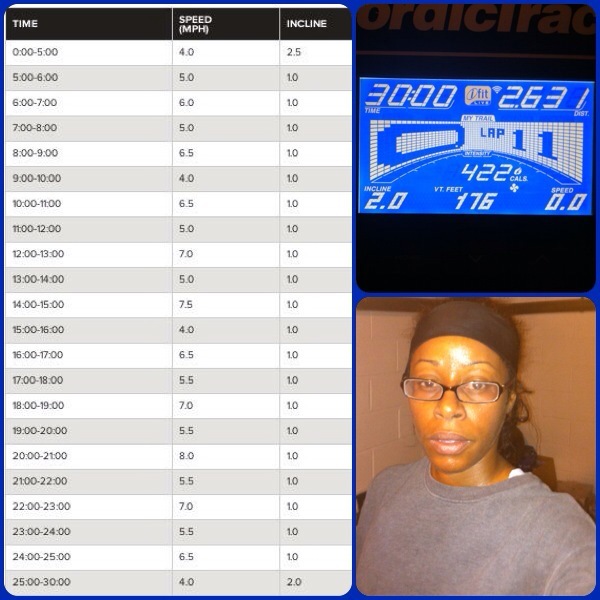 Day 3/323: FitSugar Treadmill Pyramid Intervals workout (as pictured above) (30 min). I got this one from my sister who was a varsity runner in high school and just did a half marathon in December! She was impressed with how it improved her performance. I was fine the first half, but once those “rest/recovery” intervals picked up to 5.5 mph, I had to take them down to 4.0 in order to recover from the 7, 8, and 7 mph again sprint intervals!! And, I added 5 minutes of additional cool down to the end! 4.0 mph is a cardio walk pace! It is NOT a cool down!! LOL!! And, anyway, I did the first minute of the program cool down at 5.5 mph and the second at 4.5 mph. You can always increase or decrease the speed to accommodate your fitness level when doing any High Intensity Interval Training (HIIT). And that was my “Week 1!” Started week 2 pretty well with a 75 minute hot yoga class this morning! So, hopefully, that will be the kicks I needed to get back into waking up in time to exercise in the morning, before going to work!! Wish me luck!! Okay folks!! How did your Week 1 go? What did you do Days 1-7? Most importantly, how are you feeling? I hope great :)!! I have never been a person who lost weight with only diet or exercise. I have to do both. There is no way around it, in order to lose weight, you have to burn more calories than you eat. Simple. Truth. You can work out 4 hours a day. If you eat more calories than you burn, you will gain weight. If you eat as many calories as you burn, your weight will remain the same. I can’t tell you how many people I saw in the gym REGULARLY who always looked the same … overweight. And I’m not talking about the folks who only seemed to go to the gym to socialize. I’m talking about the people really breaking a sweat who looked the same year … after year … after year. So, I’m telling you this now. You can get stronger, you can build more muscle, you can improve your endurance, and you can improve your health with exercise alone. But 80-90% of weight loss is diet. You will not lose weight if you don’t know/understand how much you are eating and how much you are burning. So, if your goal is to lose weight, you need to look at your diet and figure out how to eat enough to fuel yourself while still creating a calorie deficit. Also, you can’t tone fat and muscle is already toned. So, if you are looking to get tighter, leaner, lose the jiggle or the spare tire … you HAVE to increase muscle mass and lose fat weight. All that being said, I’m not going to tell you what to eat. But, what I will do is share a very simple food fact and then what works for me. FOOD IS COMPRISED OF THREE SOURCES OF CALORIES ONLY! THREE. That’s it. There’s nothing else. Most people can readily identify protein and know the difference between lean and fatty cuts. And we know whole fruits and vegetables are mostly low calorie and the good for us carbs (fresh or frozen). 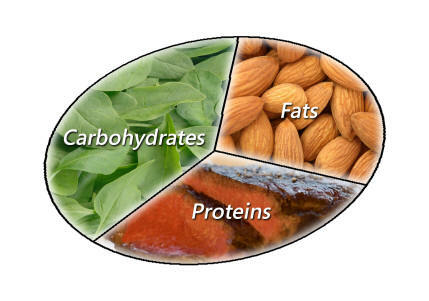 So, if it’s not protein or fruits and veggies, it’s fat or carbs and often both (and dairy has all three). Reduce the fats and non-fruit and vegetable carbs and you’ll probably lose weight. Because, seriously, I don’t know anyone who binges on grilled, skinless chicken breast, broccoli, or apples. LOL!! And, even if they did, the damage would probably be minimal to none. Oh, and don’t think I’m saying fruit and veggies are the only good carbs. I co-sign on whole oat oatmeal, rice (particularly brown), white potatoes, and sweet potatoes (my faves). Okay, so that’s my spiel on that. A cup of instant coffee w/2 packs of Truvia, 1 tsp Agave and a little powdered skim milk. My bucket of un-entered Lean Cuisine Rewards Codes. Told ya. If you are concerned about the amount of sodium in my “diet plan” due to the frozen meals, check out this post I did earlier last year about Sodium and Weight Loss. So that’s it. Wait. No it’s not. One tip that I would give on “dieting” is to not worry about the amount of calories when you start watching what you eat. Think about the QUALITY of the calories instead. Rather than jumping into reducing your calories to 1200-1500 or whatever, just get rid of food that has little to no nutritional value, ESPECIALLY calories that you can’t chew (except green smoothies ;)). Seriously, soda, juice, milk shakes, lattes, etc. … squash them. Replace those empty calories with nutritious ones so that you don’t feel like gnawing off your arm by noon!! 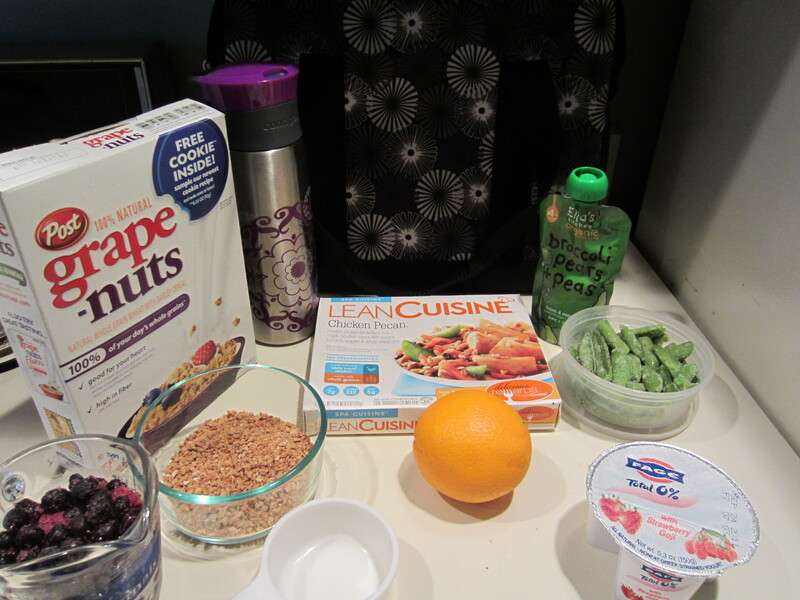 Fruits, veggies, low fat/sugar yogurt, whole grain crackers, granola, nuts, brown rice, low fat popcorn, etc. are all options. Get your body adjusted to eating a healthier type of calories. Then, you may find that you are naturally able to reduce your calories because you won’t find yourself overeating whole, healthier foods. And, because you are eating every few hours, you’ll reduce cravings and be able to start cutting back on calories without losing your mind. MODERATION IN ALL THINGS!! At least, that’s what I believe. As I said the other day on FB, some healthy foods taste great, but I don’t care what anyone says, nothing makes my toes wiggle like buttercream icing!! LOL!! That being said, I believe that we can indulge in our favorite bad foods every now again and still lose weight. It might take a little longer, but it’ll happen. So, enjoy your life along the way ;)! Because this is the thing. You can’t go back to eating the way you did before you lost the weight and expect to keep it off. Therefore, it’s important to learn to eat in a way that you can sustain a lifetime. If you have struggled with weight loss, what are the challenges you’ve faced? If you’ve overcome them, what did you do to make a “diet” work for you? Hey ladies!! Just coming on here really quickly to OFFICIALLY kick-off our 28 Days/10 Minutes a Day Fitness Challenge and to let you know that I created an Event Page of Facebook!! So now you can join the “event,” share updates, progress, pics, workouts, information, links, words of encouragement, inspirational stories, etc. with your co-participants all in one place!! Just click the pic above to go to the page! !